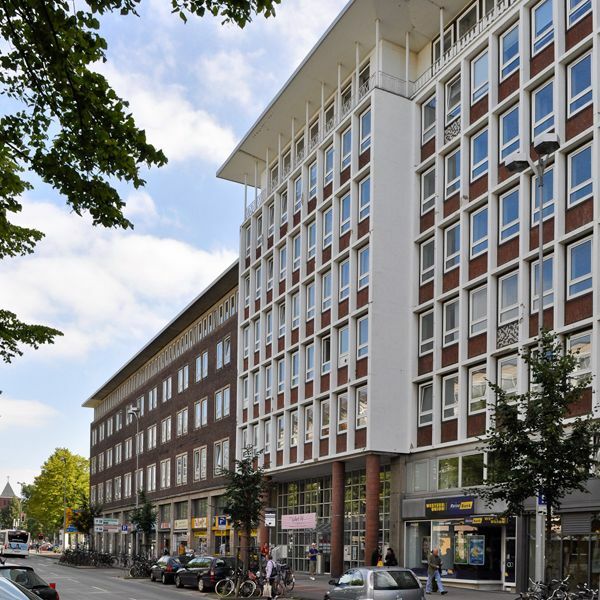 The German Language Academy – Deutsche Sprachenakademie is legally affiliated to the Bildungsinstitut Münster e.V., which has been running German and integration courses for participants from around the world since 1983. Over 500 people are currently participating in the courses. Our approx. 50 full-time and part-time staff use modern methods to teach you in a competent and friendly way. The German Language Academy is located on Bahnhofstrasse in Münster. You can easily find us by bus or train (we are just a one-minute walk from the train station’s main entrance). Spacious and light classrooms invite you to learn. You can also make use of our premises in the breaks and after classes to study independently. We provide a friendly, international and open atmosphere. We set great store by personal contact and treating each other with respect. Let us know if there is something you don’t like. After all, your feedback helps us to continue to improve the quality of our services. Your satisfaction is our main aim!